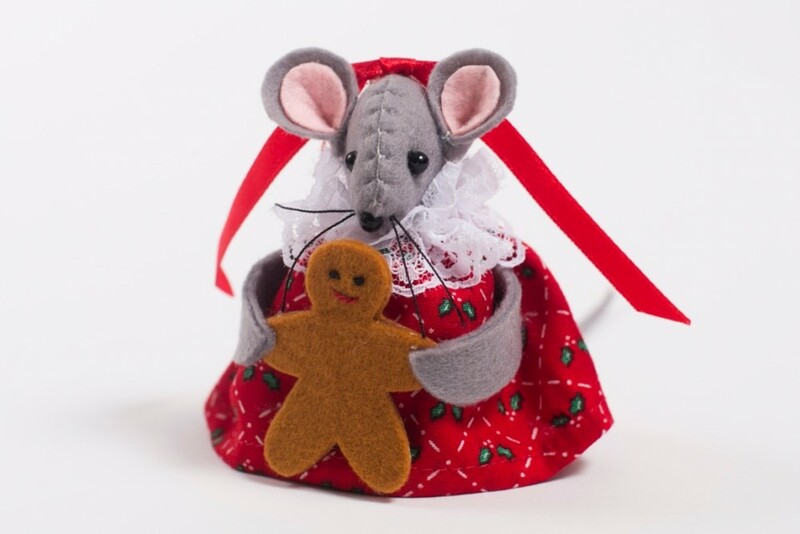 This lovely little Gingerbread Mouse Christmas Tree Decoration looks so festive with her pretty Christmas dress and lace collar and holding her very own Gingerbread decoration. 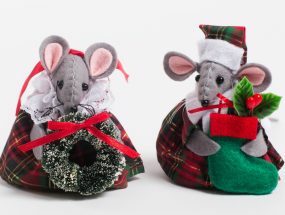 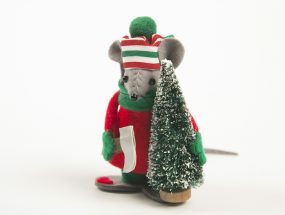 Our Gingerbread Mouse Christmas Tree Decoration has a hanging loop so can either be hung on the tree or she can stand on a shelf or mantelpiece looking festive. 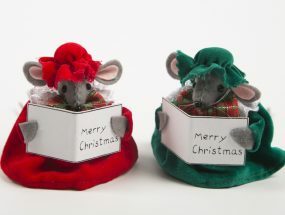 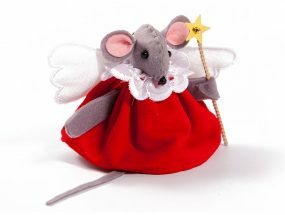 She stands 8cm tall and is handmade from grey felt with a holly patterned Christmas dress and red satin ribbon.